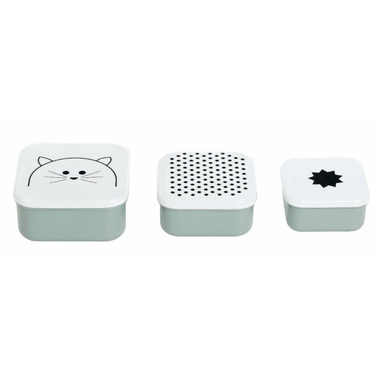 Dog, cat, mouse: the cute animals of the Little Chums collection invite you to snack together! 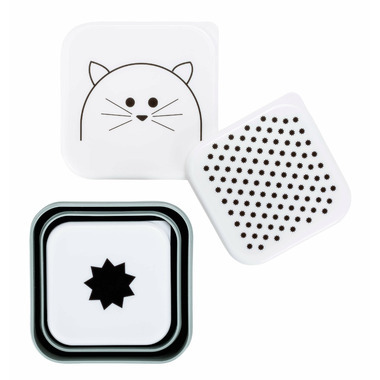 The square snack boxes in minimalist design are made of high quality plastic, BPA-free and dishwasher safe. The containers come in a practical set of 3 and have three different sizes. When not needed, they can be stacked to save space.